Robert Lamm's "Leap of faith", Live in New Zealand DVD available on february 10th! 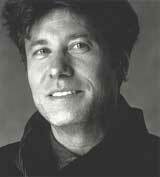 The long awaited "Leap of Faith" DVD by Robert Lamm is scheduled for release on February 10, 2007. This DVD features the LIVE Solo Concert of Robert Lamm in New Zealand, Bonus Footage from the Los Angeles Knitting Factory and an Interview with Robert Lamm. Please email [email protected] if you are ordering more than one DVD for additional shipping charges. This offer is for PayPal payments ONLY. You will be saving the $2.00 Paypal fee until January 26th. Also, Robert worked in late September 2006 on what he calls "The Bossa Project". A collection of original songs inspired by Jobim, Gilberto, and others. He has recorded 14 songs so far, some classic Bossa Nova songs from that era (early 60's), as well as some very fine under-exposed standards. John Van Eps is arranging, producing and playing. In addition, he has been approached by yet another international record company to record an album of new original material. He began writing songs for this project and will explore collaboration with other musicians, writers and producers. America : "Here & Now"
Even during its '70s heyday, soft rock never gained much respect, and of those soft rockers, perhaps no other act received as much disdain as America, a group inspired equally by the folk-rock of Crosby, Stills, Nash & Young and the pop of the Beatles. Aside from epitomizing the qualities that made soft rock anathema for hipsters and rock critics — America, like the style itself, was too smooth, melodic, and square to be considered cool — it's quite likely that the band received the brunt of the criticism because they wore their influences too plainly: their 1972 number one hit "A Horse with No Name" sounded uncannily like Neil Young, and they were produced by the fifth Beatle, George Martin, two moves that made it appear to some that America was acting as heirs to a throne that they did not deserve. They were also seen, along with fellow California soft rockers the Eagles, as diluting and perverting the ideals of folk-rock, turning it into bland pap for the masses, and they were scorned by the taste-makers for it: the second edition of the Rolling Stone Record Guide rated all their studio albums between zero and one stars, while Robert Christgau rated their 1975 compilation History: America's Greatest Hits a C-. 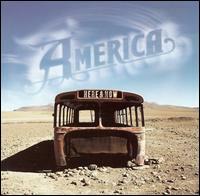 America may not have been acclaimed, but they were popular, with "Ventura Highway," "A Horse with No Name," "Tin Man," "Lonely People," and "Sister Golden Hair" all reaching the Billboard Top Ten in the first half of the '70s, all on the strength of their impeccable melodic craft and easy, sunny vibes — qualities that turned out to be enduring, too, as these songs remained staples on oldies and soft pop stations well into the new millennium, earning new fans along the way, fans who weren't preoccupied with America's image and enjoyed the music on its own mellow terms. Among these fans were Gen-Xers like Adam Schlesinger of Fountains of Wayne and former Smashing Pumpkin James Iha, whose 1998 solo debut, Let It Come Down, was bathed in a hazy, sunny glow that was unmistakably reminiscent of America. Generation X was notorious for ironically embracing and reviving '70s icons, but there was no trace of irony behind Schlesinger and Iha's love of America, as their production of Here & Now, America's 16th studio album and first unabashed attempt at a comeback, proves. Schlesinger and Iha achieve something remarkable with Here & Now: they leave no fingerprints behind. The duo helms a production that is on paper a textbook indie rock hipster comeback record — complete with cameos by Ryan Adams and Ben Kweller and covers of My Morning Jacket and Nada Surf — but the finished album never sounds self-conscious or cloying, it sounds true to the sound and spirit of America. From the warm, welcoming production to the sweet harmonies, mellow vibes, and smooth melodies, Here & Now could easily be mistaken for an America album from the mid-'70s. There has been no attempt to modernize the group; Schlesinger and Iha have merely brought Gerry Beckley and Dewey Bunnell back to their strengths. Gone are the heavy layers of synthesizers that plagued America since the early '80s; gone are the earnest but meandering adult pop that made such '90s albums as Hourglass and Human Nature underwhelming. In their place are layers of melody and harmony presented simply and cleanly through songs that so easy to enjoy that it's easy to overlook how well constructed they are. This understated craft also means that Here & Now does not produce any revelations about the band or how they influenced the modern musicians who wisely blend into the background here, but the quiet nature of this album fits comfortably with the best of the band's work. 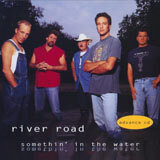 Indeed, like the hits that are still heard on oldies radio — and are also revived here in a live bonus disc, where Beckley and Bunnell perform every song on History — the songs on Here & Now are appealing upon first listen but reveal their true strength upon repeated spins, as the melodies begin to catch hold in the subconscious and the warmth of the music feels friendly and familiar. On these repeated listens, Here & Now gains stature and it not only feels like a successful comeback, but the record that America fans of all ages have been waiting decades to hear. 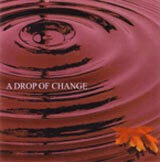 Regarding BlueDesert.dk, we learn that early 2006 the danish singer Claus H. Leonhardt and the latin artists Jerry Lopez decided to form "A Drop Of Change", a music project between the continents. Claus H. Leonhardt is based in Copenhagen, Denmark and Jerry Lopez lives in Los Angeles, the music city at the west coast of US. The music style is catchy pop with influences from the latin and west coast music. Now the first three songs has been recorded and is released as a promo cd and hopefully a full album to follow. 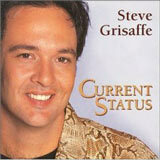 To back up on the tracks you can hear Bill Champlin, Greg Mathieson, Larry Williams and top latin studio musicians. Since September 2006 Steve Lukather is working on two new solo albums. First he'll make a song orientated album, that he's writing for since September 2006. After finishing this album in 2007, he'll start making an instrumental one. At this very spot Lukather will keep you posted about the new album in progress at www.stevelukather.net. Stephano Frollano was born in Rome on 26th July 1962. He began playing classical guitar at the age of 13 and after two years left school to devote his time to rock music. Following his first “teenage” band called “Simbiosi”, and a series of performances with Fabio Landi, in 1983 he started playing at the same time with both Karma, a Roman Sixties Revival Group as well as a rock-cover blues group Skydog (Allman Brothers, Lynyrd Skynyrd, SRV,R.Cray, Dire Straits, N.Young etc.). The group was made up of Giancarlo Guidoni on drums, already a session-player and musician with numerous Italian artists; Pino Casale on base and Gianfranco Orlandi on guitar. Frollano has to his credit played with other Italian musicians including vocalist Andrea Satta and pianist Angelo Pelini (who founded the “Tetes de Bois” in the early ‘90s) in the group called “Charleston”; moreover he was the opening act for concerts of U.S. Singer-songwriters (Joe Henry) and sang and played live with Crosby, Stills and Nash in 1992. His love for West Coast music led him in the mid ‘80s to found the “Blue Flares”, a group in which, among others, also played Joe Slomp (vocalist and keyboard), Marco Martella (vocalist and writer of lyrics for some of Frollano’s songs) and Francesco Lucarelli (guitar and vocalist). With Lucarelli, he performed on a host of occasions in Rome clubs. 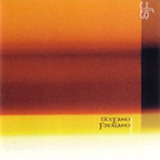 On June 2006 Stefano has released his own first cd with original numbers for the American and Italian market. Among those who have so far played in the recordings, which were made in both Italy and the United States, are Jeff Pevar (guitar, lap steel, mandolin, currently with CPR and previously with Ray Charles, Rickie Lee Jones, Crosby and Nash, Joe Cocker, Marc Cohn, CSN and several others), James Raymond from CPR and CSN bands on keyboards, while Italian guests include Ada Montellanico (unique jazz singer/song writer), Marco Vannozzi (former bass guitar player with Strada Aperta and Antonello Venditti), Marco Campanari (bass player with “Latte e I Suoi Derivati), Ruggero Artale from World Percussion (percussionist), Francesco Lo Cascio on vibraphone, Walter Detond on drums from Roberto Ciotti Blues Band. Other female singers appearing on these tracks are Gabriella Paravati (outstanding performer of a number of Italian singer/songwriter works, live and in the studio) Francesca Mora who today plays on keyboard and sings with Waterfall, an Italian West Coast music cover group and Francesca Fagioli with her own celestial voice. *Bob Harris from Warren Zevon, Frank Zappa and Axe, along with many other notable musicians and singers. Songs from Blindside effortlessly span the musical spectrum - from rock to pop to blues, the album showcases Bartley's extraordinary songwriting talents. The tender, heartfelt ballad "Veronica So Fair" not only displays Jock's vocal prowess, but could quite possibly be one of the finest love songs ever written! 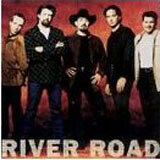 All songs on Blindside were written by the Firefall guitarist, who also produced the album. Another highlight of this exciting new CD is the positive message song "Call On Me", which was originally written in 1998 for Suicide Prevention. The song became an anthem of sorts for the cause and the national crises hotline, 1(800) SUICIDE. A portion of the proceeds from the sales and performance of "Call On Me" will be donated back to Suicide Prevention, helping to reverse the terrible national statistics. Blindside is now available on the new independent record label Winged Horses Records. 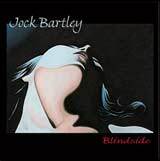 It is also available on www.jockbartley.net and My Space for individual songs or entire CD download. Blindside can also soon be purchased online from CDBaby.com, iTunes and E-Bay. In support of Bartley's new album, plans for a major tour of the US and Europe are in the formative stages. In Addition to his new CD and continuing work with Firefall, Jock is an artist of growing renown. Four of his Beatles paintings are featured in a new coffee table book released worldwide, entitled Beatles Art - Fantastic New Artworks of The Fab Four, in which Jock has also written the foreword. Borders Books is sponsoring a number of Colorado and national book signing 'events' in which they will also display, promote and sell his solo CD Blindside.